Rubenerd: The Simpsons under threat? According to TodayOnline (and they would know… right?) 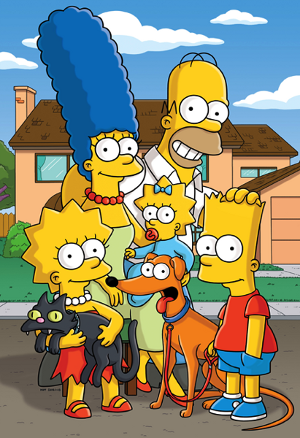 The Simpsons may potentially be getting the can after 23 years. As a reporter asked Krusty during one of his many retirement press conferences "Why now? Why not [years] ago?" The Simpsons is one of the defining television shows of our generation. People hundreds of years from now will be studying it to learn about pop culture, societal attitudes and humour of the 1990s and 2000s. Phrases such as d'oh! have entered our lexicon. Practically everyone in their 20s in the English speaking world (and a substantial number outside it) know all the characters, can spout random lines from episodes ad nauseum, or at the very least have watched it. I'd hazard a guess that Homer Simpson is more well known than most politicians, and certainly as much as any celebrity. I saw my first episode when my family had a brief stint living in Brisbane in the mid 1990s. I was too young to understand many of the jokes, but the show still appealed to me, despite the episode being about American football of all things! 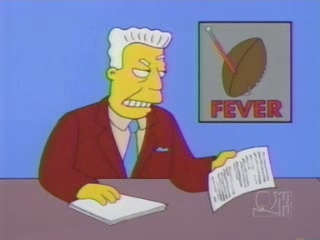 My favourite character instantly became Kent Brockman; hearing what he had to say in an authoritative news voice cracked me up far too much! I attribute the series to my fascination with voices, an interest that landed my sister and I our first paid jobs at Discovery Channel Asia as voice-over actors. Even now in my mid 20s, the Simpsons is one of the few television programmes I watch on a regular basis, often times even older episodes I've seen hundreds, possibly trillions, of times before. The episodes have a timeless quality and a way to make me smile that very few things do. I still quote them even now! Normally I don't agree with the consensus of the general public when it comes to media (though I was doing this before the hipsters! Oh, wait…), but I'll be blunt when I say the last couple of seasons have been virtually unwatachable. Once heartwarming, biting and hilarious, the show's decline in quality has been observable to all but apparently the show's PR folk. The financial struggles of the working class were eschewed (gesundheit) for zanier plots that had more potential for jokes, but detracted from the believability that made the show unique. The move to high definition and the further saturation reminded me of Lisa's statement to Randal Kurtis "Better effects don't make for better storytelling". The movie was mildly funny, though could have just been an episode. I could go on, but as with the episodes themselves, you've probably already seen these arguments listed thousands of times. All I'll add is: I have fond memories of growing up with The Simpsons, but perhaps it really is time to move on. I'll miss its reassuring presence, if not its later story lines. If this was just a PR move to generate free press and to reinvigorate public support for the show… touché. Newer post ← I got fourteen new iPod nano watches today!